The Cyclone Rake offers unique features you won't find anywhere else, while offering easy property care for spring. 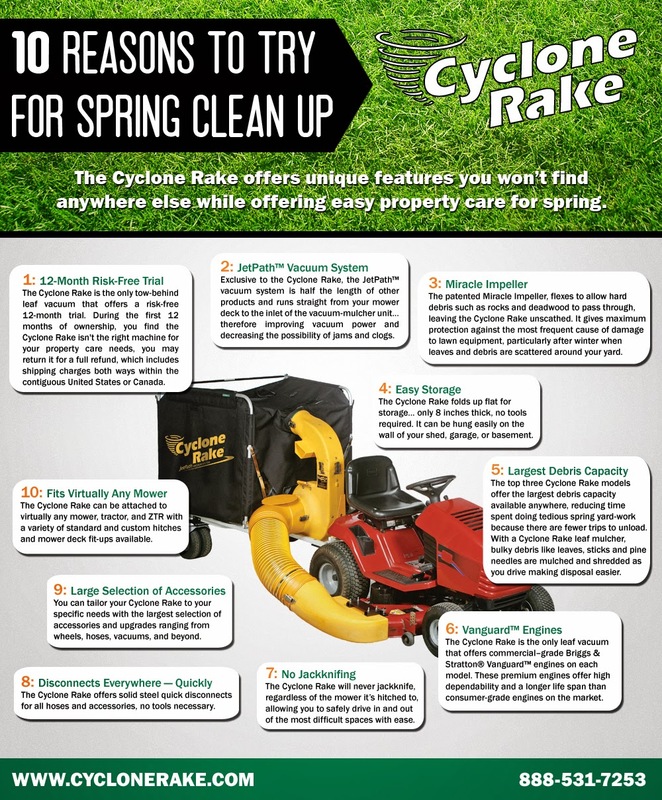 View the infographic below to learn about ten reasons to try the Cyclone Rake for spring clean up. Did you know that homeowners in the United States spend a total of $44.7 billion on lawn care and landscape services per year? There are many ways to reduce the cost of professional landscaping services, including doing it yourself, shopping wisely, and working with what you have. Simple DIY tasks such as cleaning up leaves and mowing the lawn yourself can eliminate a need for professional services. The Cyclone Rake will not only help you get lawn care done quickly and efficiently while saving you money, but it will also eliminate any worry of injuries due to the manual labor associated with traditional lawn care tools. You can also comparison shop and time your purchase of plants and landscaping items. Even preserving your current lawn and landscape can help you save. 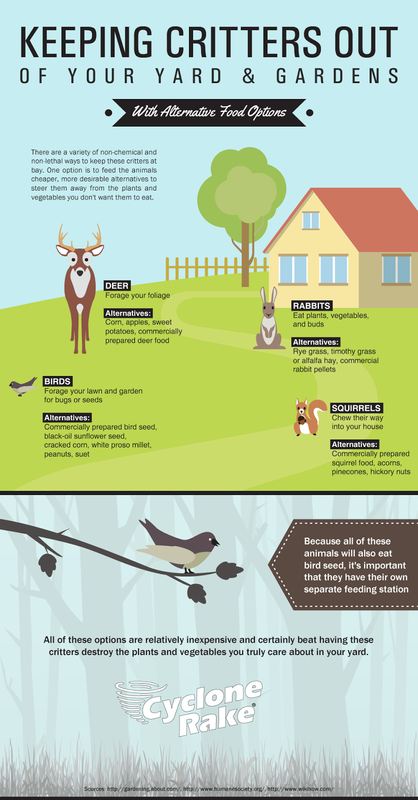 View the infographic below to learn more.